Derren Brown takes his debunking mission to America. In a country where he’s unknown, he demonstrates how easy it is to dupe people into believing impossible things in Derren Brown: Messiah. 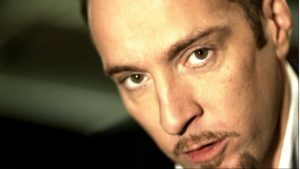 Derren Brown: Messiah was aired on Channel Four on the 7th January 2005 with the purpose of seeing if five authority figures in America would endorse Derren’s five pseudonyms and in turn try to encourage the public to question various aspects of their lifes and belief systems. The one off special was not produced to debunk all beliefs, instead it followed the same lines of Seance: hopefully urging the viewer to maybe see if there was a turning in their straight-lined thinking about belief and urging them to question and explore the wilderness which had been opened to them, not necessarily to take that path, but just to be aware of its existence and to question some of the pebbles which form part of the road. Derren Brown: Messiah is available on Channel 4’s All 4 On Demand service.